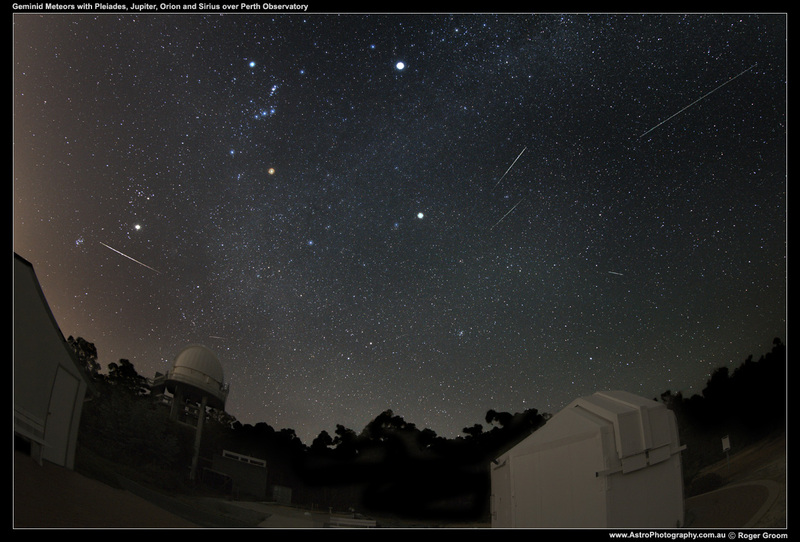 On the 14th December 2012 I set up my camera to photograph the Geminids meteor shower at the Perth Observatory, after I had finished hosting a tour group for the evening. There are 6 Geminid Meteors visible in this photograph, all nicely radiating out from the constellation of Gemini. Click the photograph to see a larger 1200 pixel wide version. Also visible in the photograph is Pleaides (star cluster on far left), Jupiter, Orion and the star Sirius.